As well as being unhappy with the general appearance of his smile when Andy first came to The London Smile Clinic, he was finding eating a little tricky too! 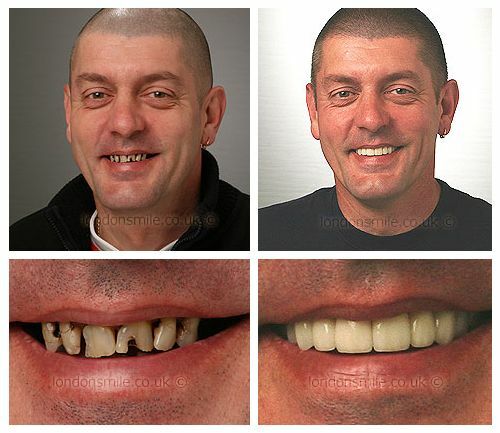 Fed up of feeling like people were always looking at his teeth he came to us for help. Crowns and dental implants helped restore function and create his new smile, which everyone now looks at for all the right reasons! I was unable to eat and I always felt people were looking at my teeth when I smiled. Very comfortable and I always felt at ease. Very, very good!! The result is great, my expectations were greatly exceeded. I no longer need to think about eating and smiling, its great! Everyone has been so supportive throughout the whole experience it’s been just great! !